It's another delicious week to look forward to with our talented chefs taking inspiration from the seasons to craft their creative menus. But of course, if you just want to tuck into something sumptuous and hearty, we've got just the place for you, too. 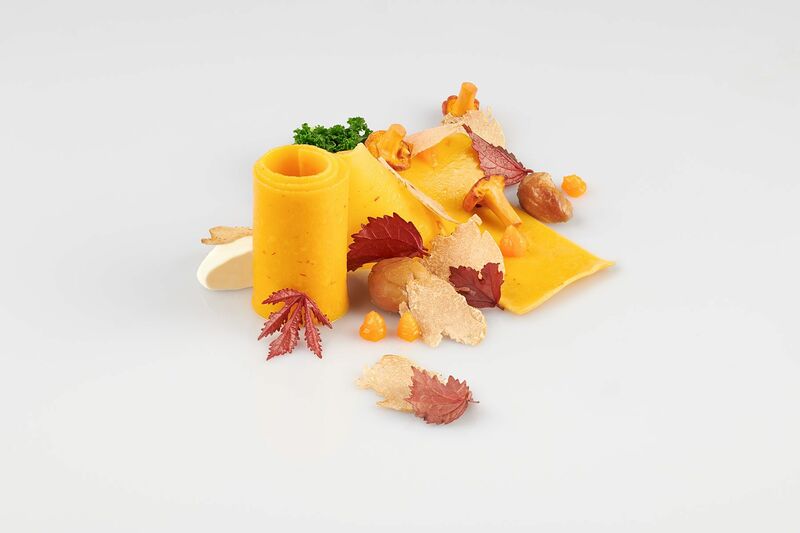 Executive Kirk Westaway makes our mouth water with his Reinventing British menu—winter edition. As expected, he procures fresh seasonal ingredients that are made into delicious British staples with a modern flair. The whole menu is worth a try (seriously!) but for the sake of stomach space, we’ve picked a few notable highlights to start with. Are you ready to try exotic meat? Then go for the rabbit pie, a hearty dish of finely diced Dutch rabbit expertly seasoned with a spicy mix of gara masala, chilli, ginger, turmeric and cumin, and poured into a crisp pastry base. Good follow-ups are the langoustine set atop a bed of earthy celeriac, and the Just a Potato. As simple as the latter sounds, you’ll gladly tuck into these spuds from Devonshire (Kirk’s hometown), pan-fried in a mix of oil, butter, rosemary, garlic, and thyme. This casual eatery in Binjai Park will make you want to travel all the way to Bukit Timah for food. And you’ll rewarded with fresh-out-of-the-wood-fired-oven pizzas, our ultimate favourites being the burrata pizza and mixed mushroom pizza. Both boast a nicely crisp crust perfected by executive chef Shaufi Yusof, who painstakingly handrolls, shapes and bakes them in the customised oven. The aforementioned is topped with slow-roasted cherry tomatoes, passata and a fresh blob of Italian cheese; the latter is a more indulgent option as it’s blanketed with three types of cheese—fior di latte, fontina, tallegio—and a dollop of truffle cream. Since you’re heading all the way here for a good meal, why not toss in a few starters and pastas to share? High on our list are the grilled asparagus, grilled octopus, as well as fettucini tossed with a hearty beef ragu. It may still be winter in chef Kirk’s kitchen, but at Origin Grill, helmed by chef de cuisine Heidi Flanagan, spring has already begun with a degustation menu inspired by the season. See how chef de cuisine Heidi Flanagan gives importance to pristine ingredients and flavours through her Lombok lobster, already a signature which she rehashes by pairing with handmade scallion raviolo, and French duck breast with chamomile-scented salsify poached in chamomile stock. Whatever you do, don’t miss the Yukimuro snow-aged beef, an exclusive item in the restaurant which chef elevates with bone marrow soil and Jerusalem artichoke. January 20 is the best day to revisit this Italian restaurant for its much-awaited winter black truffle Sunday brunch. It’s three glorious hours of stuffing yourself with the likes of black truffle taglierini and carnaroli risotto (available at the live station) crowned with fine shavings of this prized ingredient. Add on for prosecco, wines and beer. Don’t fret if you miss this, as the a la carte menu is available until March. There are more options to choose from, including the angus beef tartare bedecked with shaved truffles and parmesan, and a sprinkle of truffle dressing. Add some French flair to your week with a special meal at this popular brasserie. From January 7 to 18, and February 1 to 8, the chefs will whip up six curated escargot dishes that will take your palate to France and back. The traditional baked escargot slicked with herb butter, is, of course, included on the menu. But beyond that, you’ll enjoy it in the herb risotto and the grilled tenderloin drizzled with an escargot-flavoured butter. And if you want to make it an even better feast, just top up for the heavenly escargot caviar.